1. Fans often lament that this writer only published five novels, although a sixth, Maurice, was published posthumously in 1971. Who is this famous Britith author? 2. The reputation of Belgiam's most famous painter suffers because he painted less, and less inovatively, as he aged. On the other hand, he seems to have spent his later years enjoying his life, which should count for something. 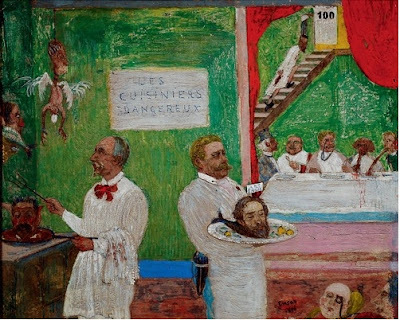 Who painted "The Entry of Christ into Brussels" and this one, "Dangerous Cooks"? 3. It seems to account for about a quarter of all that exists in the universe (whereas the ordinary matter that seems so important to you and me is only represents about 5% of the universe). We first suspected its existence in 1934, and we still have only the vaguest idea of its nature. But it seems like it might be important. What is it? 4. He said "Do not do to others what you do not want done to yourself." In about 500 B.C., he was the Justice Minister of the State of Lu. And ever since, people have differed over whether his legacy is religious or philosophical in nature. Who was this influential thinker? 5. The 8th most populous country in the world is also one of the most densely populated. It has more people than either Russia or Japan, and packs them into an area roughly the size of Louisiana. What is this crowded place? 6. So, this concept is nebulous and argued over in musicological circles, but let's say it refers to music that does not have a key (e.g. C minor) -- that, unlike most music that we're familiar with, it is not constructed around a single pitch or set of pitches. 7. It comes between Habakkuk and Haggai. 8. When he saw the Wasach Front, he said "This is the place." 10. 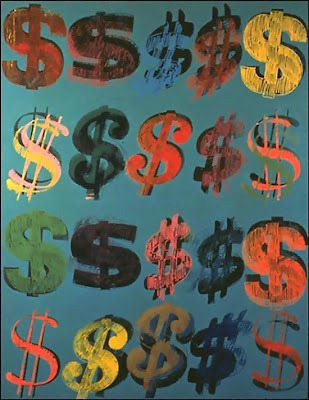 This is not one of the best known pieces of its 20th Century American artist, but it is fairly typical of his approach. Who's the artist? Put your answers, and your five novels, in the comments. 1. F*** if I know, since neither Faulkner nor Fitzgerald are British. 2. Even the most famous Belgian painter is unknown to me. 5. Bangledesh has come up before I think. 9. I'm going to put chi, but that's the english name for the greek letter. 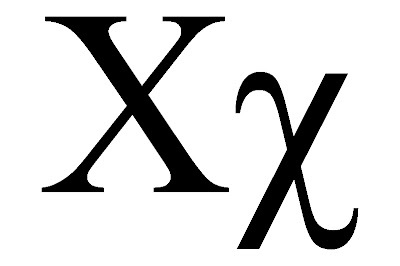 The greek name required the use of the letter itself, which I can't type without going all google-internet on you to copy-paste the greek characters, and looks like xi, (Chi-Iota), and pronounced "Hee" where the "H" is an unvoiced velar fricative (k is velar), or slightly further back from a velar fricative (like an unvoiced fricative "q" in english - is that an alveolar?" 1. Whoever he was, he must have had a lisp. 3 dark matter...but now, the other 70%? whatsamatter? 9 oh, blast you for subverting quiz conventions. Chai? Wow. Nobody got Zephaniah for the Bible question! And people say I never remember to give the answers!